Perhaps the toilet at your house simply refused to flush, you plunged it, only to find that the problem keeps happening. Maybe the drains in your sinks and shower/tub are overflowing. You keep pouring that liquid plumber down them but it only works for a day or two before the clogs rear their ugly heads again. These issues are extremely annoying and certainly disrupt your daily home life. If you own commercial or industrial property it negatively affects the lives everyone that works at or lives in the building, which means your phone will be ringing off of the hook until the situation is resolved. That being said it may actually be a lot more serious than a mere annoyance. There could very well be a major problem lurking in the sewer pipes. We know what you must be thinking right about now. A major repair to the sewer system is going to cost you a lot of money, and that it would be better to keep using band-aids versus calling a plumbing company to assess the situation. In truth, the band-aids will not stop the bleeding so to speak. If the problem is not fixed it will only grow worse and worse to the point that you will soon be facing an explosive mess of raw sewage and wastewater. Let us paint that very unpleasant picture for you. When the sewer pipes are broken it simply does not matter how many times you plunge the toilets or pour liquid drain cleaners into the sinks, showers, and tubs. The bottom line is that they need to be fixed properly. Otherwise, anything that is flushed down the toilets or goes down the drains may very well end up back where they started. The solids and liquids will back up to the point that they flood the interior of your property causing a disgusting mess that poses a health threat to anyone that comes into contact with it or breathes in the fumes. However, if you take care of the problem as soon as any signs of trouble appear than this devastating nightmare can actually be avoided. The good news is that it is not as expensive and destructive as you may think. Nu Flow Technologies offers a method that is far less expensive, does not destroy your exterior landscaping or hardscaping and takes a fraction of the time to complete when compared to the traditional excavation process. 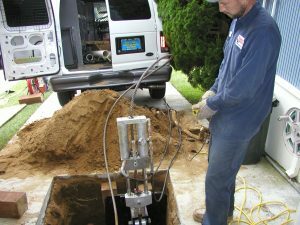 Trenchless sewer repair has actually been available for property owners in Tulsa, Oklahoma for close to twenty years. Instead of digging a trench to expose the sewer pipes for repair we only need a small access point. If possible our plumbing technicians will use an existing access point, but if that is not possible then we will dig a small hole at one end of the sewer pipeline that is easily filled in when the process is complete. 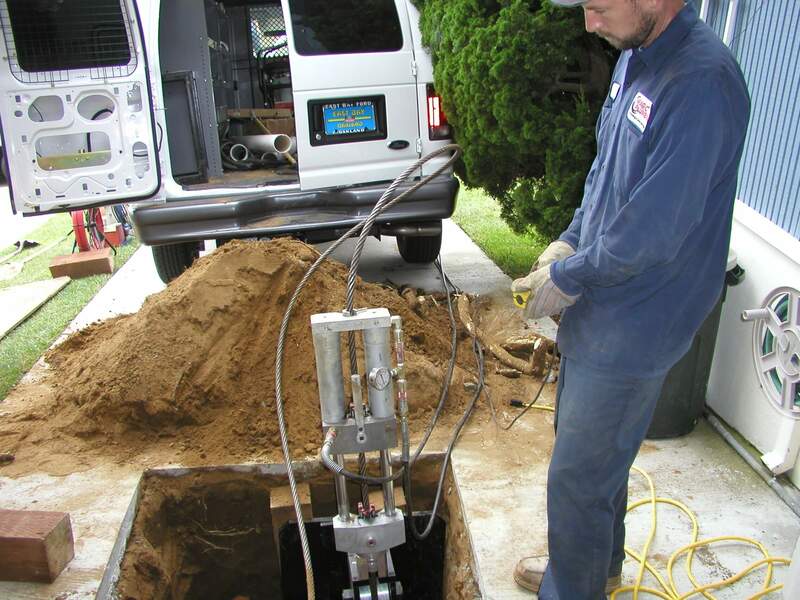 Trenchless sewer repair uses the existing pipes as a basis or foundation so to speak. Our plumbing technicians will insert an inflatable felt tube that is covered with an epoxy resin material into the pipeline. When the tube is inflated the epoxy resin covers the interior surfaces of the sewer pipes. After a few hours, the material cures in place. Once it fully hardens a sleeve or liner is formed. The process actually creates a brand new pipe within the old broken one. This new pipe replaces the old one regarding the flow of raw sewage and wastewater. The entire process can be completed in a day or two.